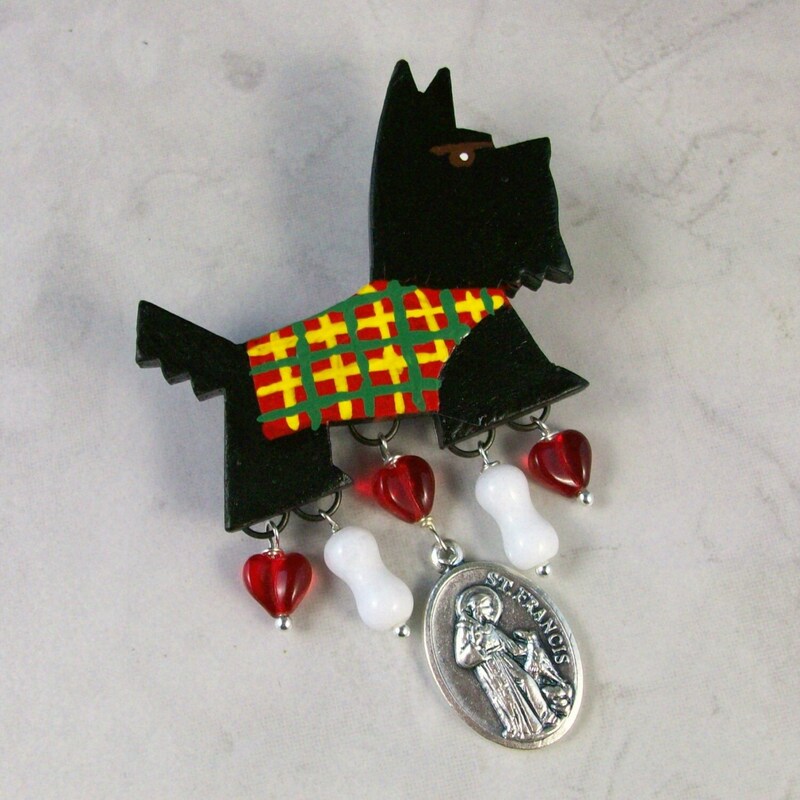 I’ve attached a two-sided Italian pewter St. Francis of Assisi medal accented with red Czech glass hearts and two white Quartz dog bones dangling below a sweet vintage wooden hand painted Scottie. The Scottie is very old and made from wood and I’ve freshened up his painting with a red, green and yellow plaid coat. The back side of the ears were a bit chipped but not noticeable from the front and the original pin mechanism was damaged so I’ve securely adhered a modern safety-type pin to the back side of it . The back side of the St. Francis medal says “Pray for Us”. Total dimensions are 2” x 3” (50x76mm). This brooch would make a lovely gift for the special Scottie lover in your life!